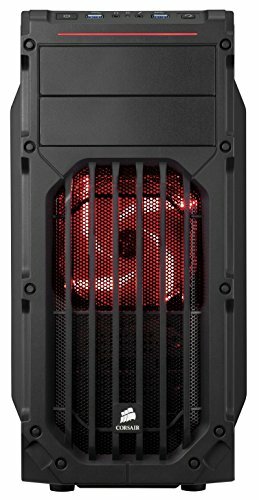 €89.85+ FROM "BUDGET" TO "BROKE"
Pros: The case is a little on the cheap side, depends on the price you get if <$60 I say its worth it, but not over, just save $20 or $30 more and get a better case. 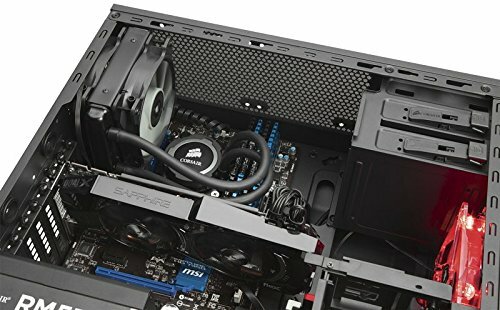 Its got good airflow with space for 140mm fans in the front, altouth getting 140mm there would be a bit of a pain cause of the space but its doable. Its a decent size so it can fit a CM Hyper 212 Evo with a couple mms to spare. Cons: First you have to make sure to route the CPU power cable BEFORE setting the mobo or it wont fit. The cut out is too small for the connector to fit, so pass it before you screw the mobo in place. Once there you can pull the cable though is a little tight. Also I recommend you plug the cable right there and then, otherwise you might have a hard time trying to plug it specially if you have a big air cooler like I do. The "air filters" are useless, their are more like a mesh with really big holes. I live in texas which is kinda a desert so there's a lot of dirty in the air, I have only around 3weeks with this build and I can already see dust inside it!! but with 2 fans pulling intake I guess that was bound to happen. Also these filters are a pain to remove. The one on the top is not realistic if you install fans or a radiator since you will have to remove them to get the "filter" off. The one of the front is easy enough bur you need to take off the whole front. The once on the bottom for the psu is also a pain to remove. I suggest you do it with the system off and cables unplugged so you can till it more easily. Before buying the case I saw reviews complaining that the paint comes off very easily its true. You can see this if your not careful with ur screw driver or while installing the psu. Also there are no grommets for the cut out holes for cable management, not a big deal but worth mentioning. This might not really be a con but, the windows is kinda big, consider this before getting it. I tried to hide my PSU cables but since the space on the side panel for cable management is not very big, hiding all the cables is not easy you will see them cause the big windows doesn't cover not even the hard drive cages. 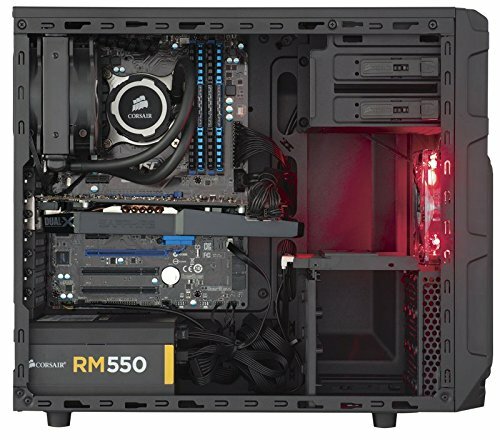 Other Thoughts: Overall I think the case is good looking and has an attractive price, but is kind of a pain to work with and wont help keeping ur system clean, if this is not a deal breaker I say go get it. The case is great and durable for me so far. I have zero complaints. Love the looks of this case, but it is a little tight. It barely fit my CM Hyper 212 Evo cooler. Other than that it has everything that I needed with good space for cable management. The build material feels solid and the side window let's you admire your creation! Worked on this case before and I loved the level of quality on it along with ample room for cable management. Even with using a non modular PSU, I was able to hide every cable behind the backpanel. Beautiful case and plenty of space, but there was a little chipping of the paint in the cable management space but nothing enough to take off a star. 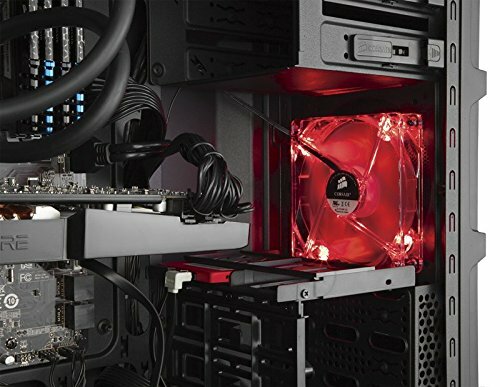 I love this case, it looks good with its red frontal fan and side window. I got it for $30 before taxes. Case is small. Installing liquid cooler is possible but takes loads of patience.